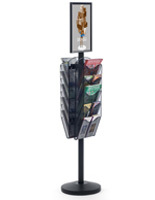 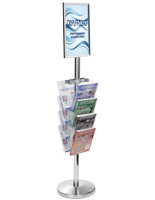 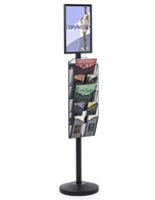 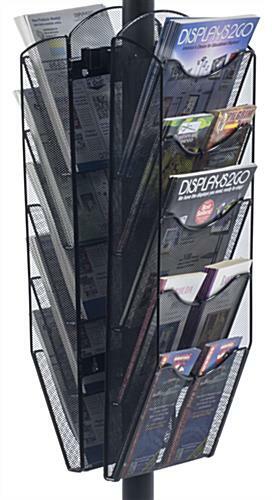 These magazine stands with sign frame feature (10) mesh pockets that measure 9.5" x 10" x 1" and come with dividers for holding smaller literature. 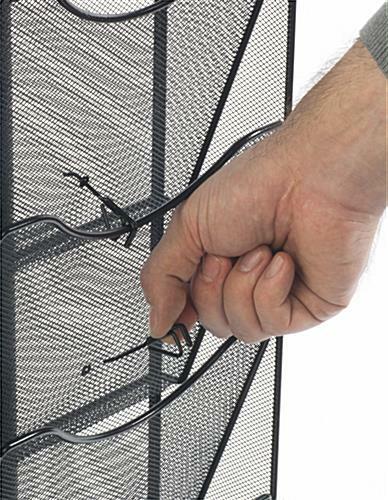 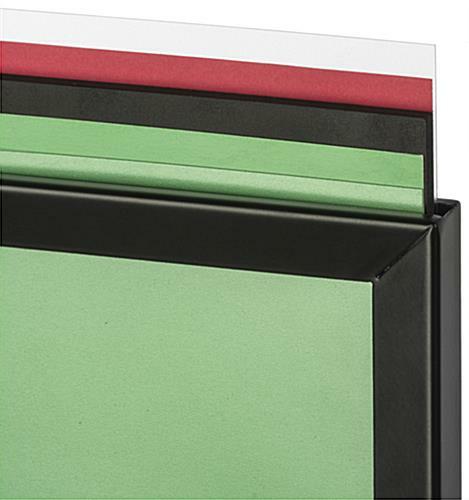 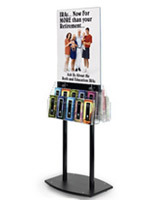 The displays' image holder is double sided and can showcase (2) 24" x 18" prints behind a protective anti-glare lens. 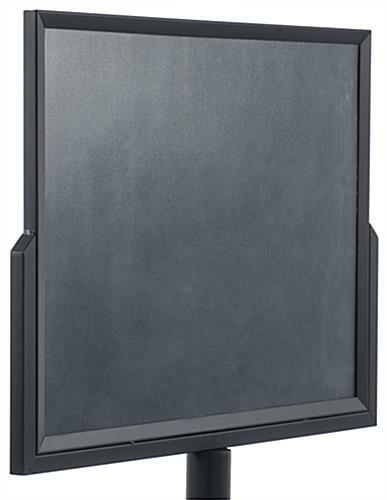 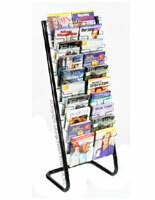 Each of the magazine stands is made from sturdy stainless steel and features a neutral black finish for any environment. 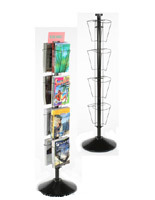 The steel fixtures with (10) pockets are great for malls, retail stores and service organizations to sell or offer literature to visitors. 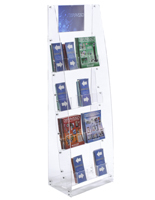 The image holder stands feature a landscape orientation and have a top loading design that makes it easy to insert or replace prints. 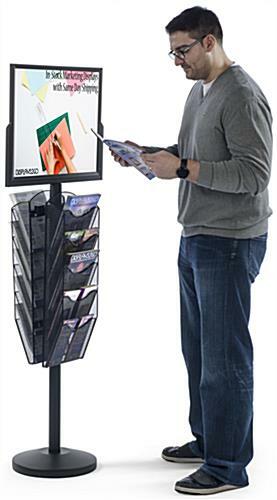 The displays' included lenses will protect their contents from moisture and fingerprints. 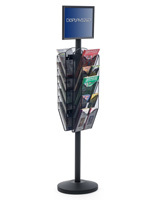 25.8" x 66.0" x 20.0"
9.5" x 10.0" x 0.75"